Founded over 45 years ago by partner Jack E. Kaufman, Kaufman McAndrew LLP, is a Los Angeles-based corporate, employment and real estate law firm. The firm’s team of seven attorneys provide both transactional and litigation services with extensive boardroom and courtroom experience. The Encino, California, firm’s team of top-rated attorneys provides clients with highly personalized, highly strategic and highly effective legal counsel in every category of small- to mid-sized business. Clients include manufacturers, distributors, food service, automotive, apparel, medical practices, transportation and service providers. The firm has extensive experience with employer-side employment law and labor law, including wrongful termination, harassment, discrimination, retaliation, and individual and class action lawsuits. Real estate services include commercial, residential foreclosures, disputes, construction, title issues, leases sale and purchase, document review, as well as other services as needed. 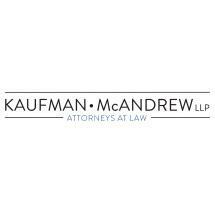 For decades businesses and individuals have to come rely on Kaufman McAndrew LLP, to prevent legal issues. These businesses and individuals also turn to the firm for vigorous representation should they need tenacious and skillful representation should an issue go to trial. Kaufman McAndrew LLP, is a distinguished legal team that will do everything possible to ensure clients receive the attention, resources and dedicated legal counsel they expect and deserve.